Threading is a hair removal technique that has been practiced for centuries. Facial hair is removed swiftly yet meticulously from the most delicate areas of the face by knotting off thread and creating a trap that forces out hair by the root. 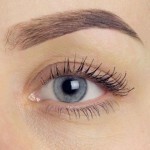 Eyebrow and eyelash tinting is a colour service that doesn’t take away any hair but uses semi-permanent dye to enhance colour, shape and thickness. Soak-off gel nails are often otherwise known as “soft” gel nails. Soak-off gel nail polish is painted on and after each layer, it is “cured” with a UV light. This means that the nails are placed under the light to dry before adding another layer. Soak-off gel nails last for about 2 or 3 weeks and that’s without chipping, they always look like they were just done! 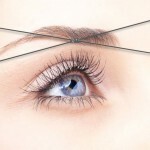 Applying extensions to the eyelashes is a practice that enhances the length, thickness and fullness of natural eyelashes. Revitalizing, relaxing treatment using natural honey and almond products from Angela Wall which is safe for ANY skin type. Cleanse, exfoliate with facial steamer, masque, tone and moisturize. 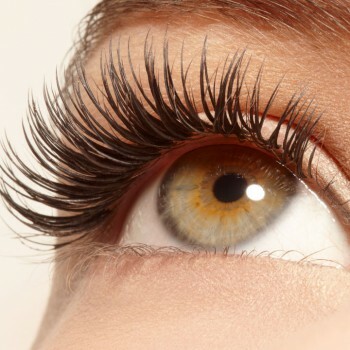 The lash lift procedure has revolutionized old, inadequate perming techniques. Using silicone pads instead of perm rods, this new technique can lift, straighten or curl, and lengthen your own natural lashes to create a brighter, fuller, wide eyed look. No need for extensions and the associated aftercare, this will last you 6-8 weeks. Holistic massage is an individual treatment that is specifically tailored to each client. Witha holistic approach the client is treated as a whole, taking into account their emotional and spiritual well-being, as well as their physical body. A wide range of massage techniques are used. Indian Head Massage is a gentle and therapeutic massage technique aimed at relieving stress and tension and promoting general well-being. Part of Ayurveda medicine – the ancient Indian system of mind-body medicine that aims to re-establish the body’s natural balance by restoring and preserving physical, emotional and spiritual health. Indian head massage does not only focus on the head and scalp as its name suggests but also works on the neck, shoulders, upper back, arms and face, which are the main areas in the body where stress and tension are often felt. The different Indian Head massage movements help to relax the muscles, ease away stiffness, stimulate blood circulation and eliminate toxins from the body.